We are very excited to announce the launch of our new website! This new tool allows patients to easily order contact lenses, request appointments and learn more about many eye conditions and eye care services that we offer. 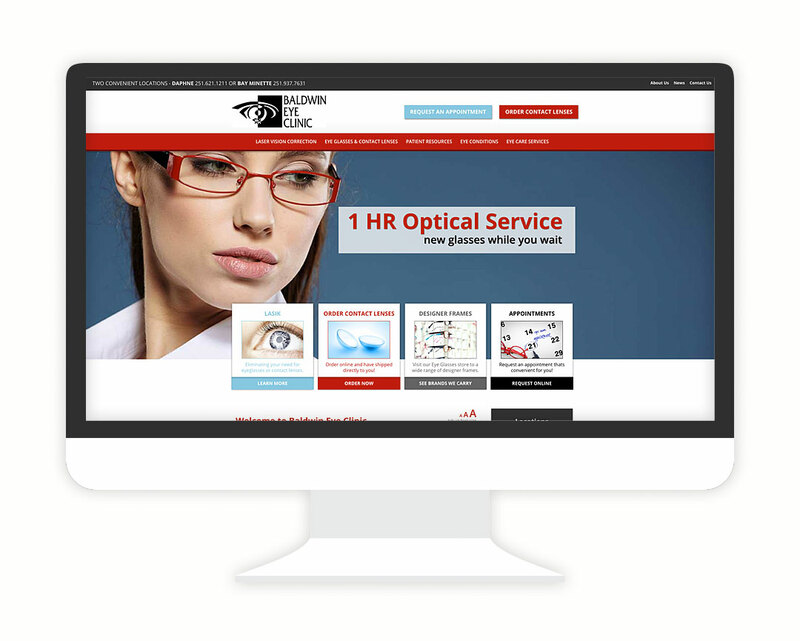 You can also now view our website on any digital device with easy viewing and find directions to our two eye clinic facilities in Daphne and Bay Minette, Alabama.